Panama City is the business capital of Latin America and this city has earned every inch of that status. I’m Suzan Haskins, and this is my final report on the 2013 Fast-Track Panama: Lifestyle and Opportunity Conference in shiny, sparkly Panama City. Last night we had cocktails overlooking the Miraflores Locks at the Panama Canal. For various (perhaps obvious) reasons, I can’t remember exactly how many ships passed through the canal, traveling in both directions. But there were a lot. Non-stop. I’m sure you know that the Canal is currently undergoing a massive expansion. Even more ships…giant, super-ships… and even more revenue will be passing through this tiny country very soon. The truth is that Panama looks better than ever. The new beltway, called the Cinta Costera (that was built adjacent to the Bay of Panama) has reduced Panama City’s traffic problems (although the surely still exist). But happily, a new metro is being built that will help even more—the first and only light rail in a Central American metropolitan area. In rural areas, too, potholes have been filled and new double-lane highways with high-tech lighting have been built. High-speed Internet is everywhere. 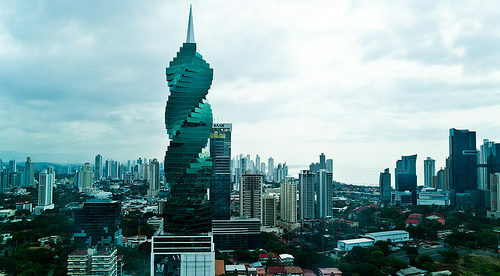 Point is: If you think of Panama City as a Third-World capital, you need to think again. This is the business capital of Latin America and this city has earned every inch of that status. Anything you need or want is here. And in everyone’s opinion, the glory days are still to come. Venture over the iconic Bridge of the Americas or the impressive Centennial Bridge and you’re in the “interior”—a completely different, and some say better, lifestyle experience. We drilled down into the nitty-gritty details that can make or break your experience here (which included some very entertaining, laugh-out-loud moments). We explored health care, health insurance… we discovered the easiest ways to learn Spanish and why that is so critically important… no matter how many Panamanians speak (or at least understand) English. And of course, we heard from more expats. There is no substitute for hearing boots-on-the-ground, reliable, direct-from-the-source information. As I’ve mentioned in my reports these past three days, this conference is leaving no stone unturned. If you want the full unabated story about what’s happening in Panama these days, you need to listen in to our roster of experts and expert expats share all the details… the Full Panama Monty, as it is… with you. For instance, today’s health care discussion… We heard from one of Panama’s best-known and well-respected young doctors who gave us an inside view of the country’s healthcare system. We heard from not one—but two—health insurance professionals. The public system, private insurance, hospital plans, international plans… it was all covered. By the way, three of our expat speakers during this conference discussed their battles with cancer. They all say they would not be here today were it not for the excellent diagnostic and medical attention they received here in Panama. So how can you learn what we’ve learned? We’ve had three full days of discussions and presentations. By my tally, we’ve recorded nearly 20 hours of information. In your 2013 Fast-Track Panama Package you’ll get every minute…every word uttered here in the conference hall. You’ll also get a complete package of materials… copies of the handouts, every single PowerPoint and visual presentation. And of course, you get the complete dossier we give to each attendee—a complete rolodex of contacts that can help you hit the ground running if you’re thinking of living, investing, starting a business, or moving even a cent of your money to Panama. U.S. tax specialist Nick Hodges and his Canadian counterpart Doug Hendler who can make sure you stay compliant and out of trouble with your local tax man. Barefoot Consultant Winton Churchill who can help you use the life-long skills and talents you already have to earn an income no matter where in the world you live. 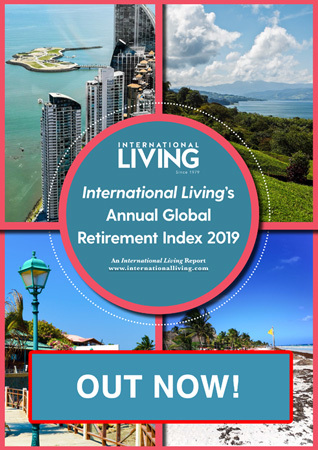 International Living editor Jessica Ramesch who has combed every corner of Panama on your behalf, discovering the best lifestyle and investment opportunities for you. Jessica definitely must be in your research rolodex if a move to Panama is in your future. And the insightful expats, as I mentioned, like Stephen Johnson, Al Fine, Rosalind Baitel, Harry Hunt, Ingrid Senne, Ellen Cook, Mitzi Martain, and more who have graciously shared their own experiences…their hard-won tips and tricks that will help you streamline your move and ensure your success in Panama. Reserve your 2013 Fast Track Panama Package now at the lowest price and quickly get up to speed on what we’ve learned here at this conference. Like I said yesterday, Rainelda Mata-Kelly’s presentations alone can save you thousands of dollars…maybe more. The cost of 2013 Fast Track Panama Package is an outrageously small price to pay for all the insider information it contains. Best of all, we guarantee that our 2013 Fast-Track Panama Package will help you fast track your plans of moving to…or investing in… Panama. The full price to attend this sold-out event was $1,095—but you can secure yourself a copy of the 2013 Fast-Track Panama Package for only $199… a mere fraction of what attendees paid to join us here in Panama City. And to sweeten the deal, we’re throwing in a $100 voucher toward the next Fast-Track Panama: Lifestyle and Opportunity Conference. Use it to attend next year’s live program (or any future event or seminar you may be interested in). But, this is a limited time offer only. Once the 2013 Fast-Track Panama Package is available for download and the initial orders have been placed, we’ll increase the price to $349. And a $100 voucher toward any of our future conferences anywhere, any time. There is no expiration date on this voucher! Reserve your copy today by completing our secure online form and save $150 on the 2013 Fast-Track Panama Package. I’ll send the information about how to obtain your 2013 Fast-Track Panama Package as soon as we’re finished making copies of the recordings, the handouts, the PowerPoint presentations, etc. Again, we guarantee that the information in our 2013 Fast-Track Panama Package will help you make your Panama dreams come true… whatever they are. If you don’t agree, we’ll return every penny you paid. You have nothing to lose: You can call us at any time in the next 30 days—and tell us the information didn’t help you. (Or don’t tell us anything. Just ask for your money back.) We’ll give you back your $199. And your $100 voucher, good toward any future event, is still yours to keep. So if you serious about tapping into the opportunities still available in the hidden, affordable Panama, I urge you to reserve your 2013 Fast-Track Panama Package now. Or to learn more about the 2013 Fast-Track Panama Package go here.